PORTLAND – At a Maine Democratic Socialists meeting at Portland City Hall last night, the Secretary of the Southern Maine Democratic Socialists, Mikayla Damon, led a workshop on the “Genderbread Person”, “pronoun use” and “LGBTQ+ allyship” before a group of about 40 members. Based on tweets from the organization, the group also discussed “anarcho-syndicalism” as part of the monthly “what is Democratic Socialism” discussion, and were visited by the President of the Maine AFL-CIO, Cynthia Phinney, who made a speech to the group. 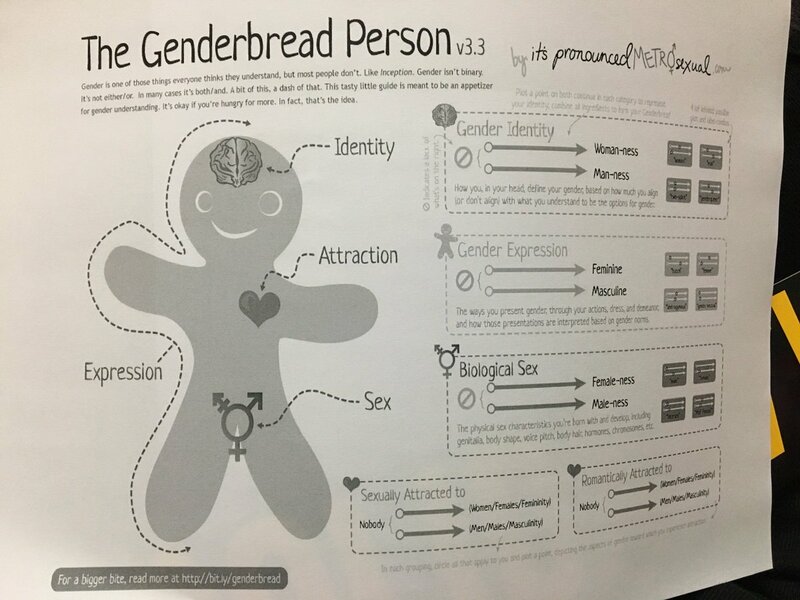 Genderbread person flyer presented at Southern Maine Democratic Socialists meeting. Photo courtesy of Southern Maine Democratic Socialists Twitter account.